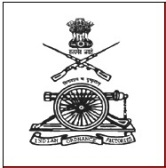 Indian Ordnance Clothing Factory Recruitment 2013 – Apply Online for 181 Group C Posts and 127 Tailor, Mechanic, and Electrician Posts: Department of Defence Production, Ordnance Clothing Factory, Shahjahanpur invites online applications for the recruitment of 181 Industrial and Non-Industrial posts and 127 Tailor, Mechanic, Electrician Posts. Eligible candidates can apply online from 08-08-2013 to 28-08-2013 by 17.00 hrs. Candidates upper age limit is 27 years for S.No 1 to 5 Posts; 18 to 27 years for S.No 6 Post; 20 to 27 years for S.No 7 Post; 18 to 32 years for S.No 8 to 13 Posts as on last date of submission of online application. Relaxation is applicable as per the rules. Candidates must possess Matriculation, 10+2, General Nursing and Midwifery Course, Diploma, NCTVT Certificate in the relevant trade, knowledge in computer with relevant experience. Refer notification for post wise educational qualification. Candidates should possess 18 to 32 years as on the last date for receipt of application. Age relaxations are applicable as per the rules. Candidates should possess Matriculation or its equivalent with NCTVT (National Council of Trades for Vocational Training) in the relevant trade failing which by ITI. Selection Process: Candidates will be selected based on their performance in written Test. Interested candidates can apply online through the website www.ocfs.gov.in by filling all the mandatory details from 08-08-2013 to 28-08-2013 by 17.00 hrs. After submission of application form, candidates are required to take print out of system generated online application form and submit it along with necessary enclosures to Department of Defence Production, Ordnance Clothing Factory, Shahjahanpur 18-09-2013 by 17.00 hrs.